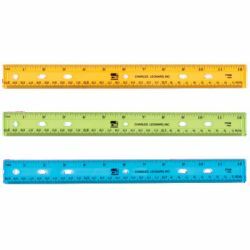 Durable plastic rulers feature double beveled edge with pencil groove. Raised calibrations show 1⁄16 inches on one edge, millimeters on the other. 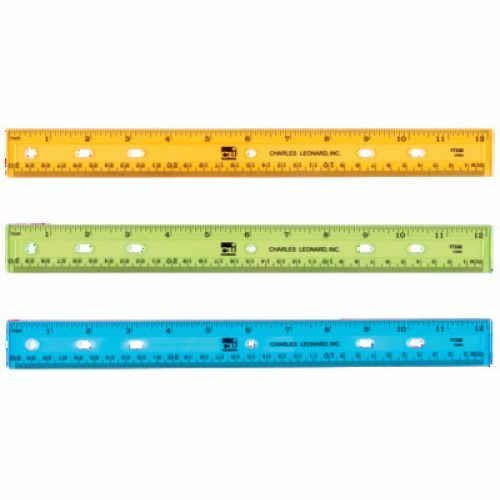 12" Plastic Ruler, assorted colors.